The big picture: The multiplayer component of one of the biggest game launches of 2018 is expected to arrive this week. If it comes even remotely close to mirroring the success of Grand Theft Auto Online, Red Dead Online will be a major cash cow for Rockstar. Rockstar Games earlier this year said Red Dead Online, the multiplayer component of Red Dead Redemption 2, would launch sometime in November. With only five days left before the calendar rolls over to December, its arrival appears imminent. 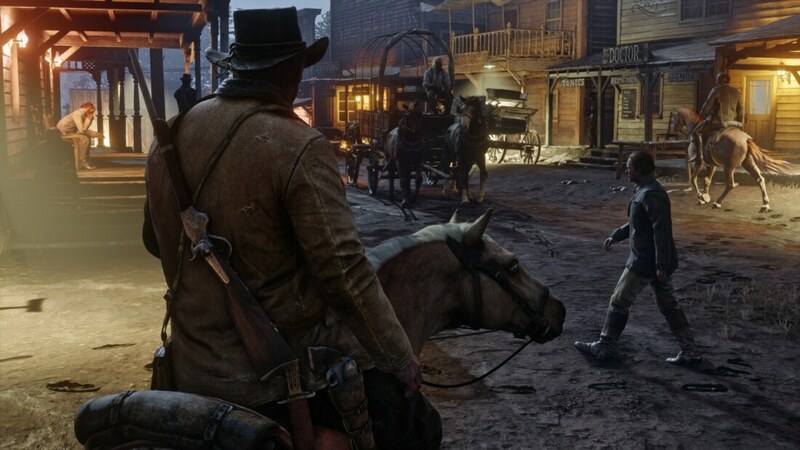 A solid launch date still hasn’t been confirmed although as ComicBook highlights, Red Dead Online achievements like Outbreak, awarded for completing the intro of Red Dead Online, have recently been doled out to some users. This suggests that at least a small subset of players – maybe developers and paid play testers – already have their hands on the game. Rockstar hasn’t shared much information about Red Dead Online so it’s not entirely clear what to expect. Given the runaway success of Grand Theft Auto Online, however, most believe it’ll heavily resemble that effort. Red Dead Redemption 2 is off to a great start. It was the second best-selling game of October and the number two selling game of 2018 thus far according to The NPD Group, second only to Call of Duty: Black Ops 4. PC gamers are still holding out hope for a desktop port but as of writing, nothing official has been announced.